Lawn grub or orange-headed cockchafer chewing out the roots of new grass can devastate lawns. Most lawn owners don’t recognize its existence or the damage it does to plants. It is so prevalent; it’s the first forensic test we dig for. We consider ourselves experts in cockchafer detection, lifecycle identification and eradication strategies. 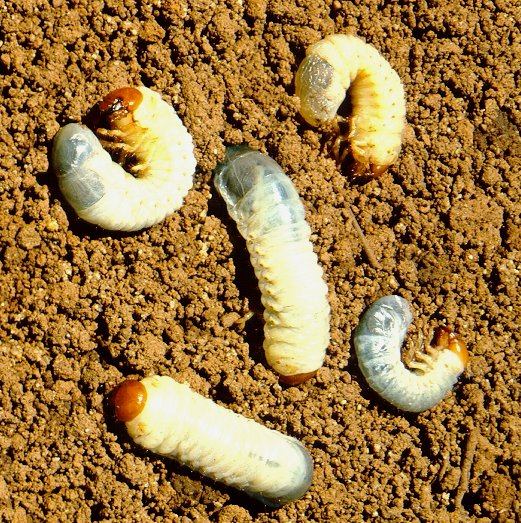 To eliminate lawn grub or orange-headed cockchafer, you have to break its breeding lifecycle. Insecticides are effective when applied after the black beetle has converged on your lawn to lay eggs. It’s the eggs and early larvae that you need to target by applying an insecticide from late September. The insecticide to use is Acelepryn. It is a non-scheduled insecticide so it is completely safe. Reseedmylawn treat lawns for Lawn grub (orange headed cockchafer) with Acelepryn. Learn more about Acelepryn here.